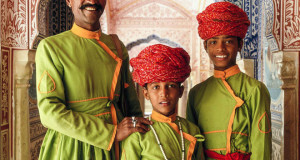 It is a great time to take a look on the amazing photographs that you never seen before. 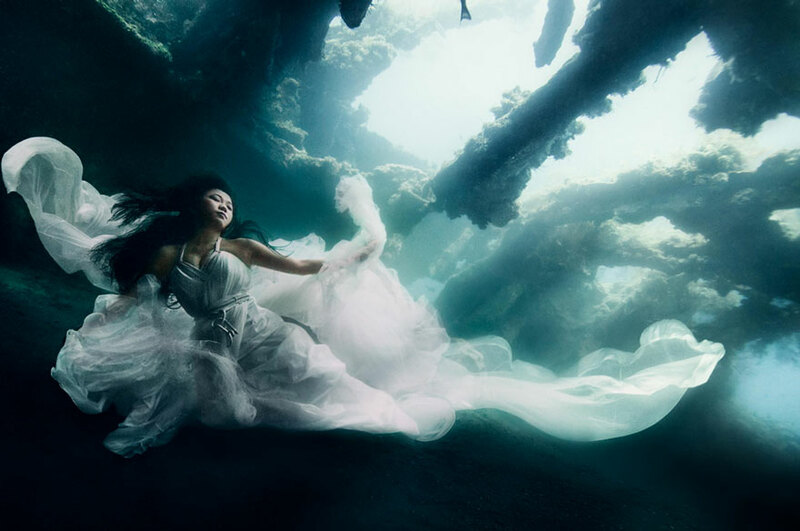 People marrying underwater have become quite common these days but it is very new for me to hear that an artist has done his photo shoot under water. 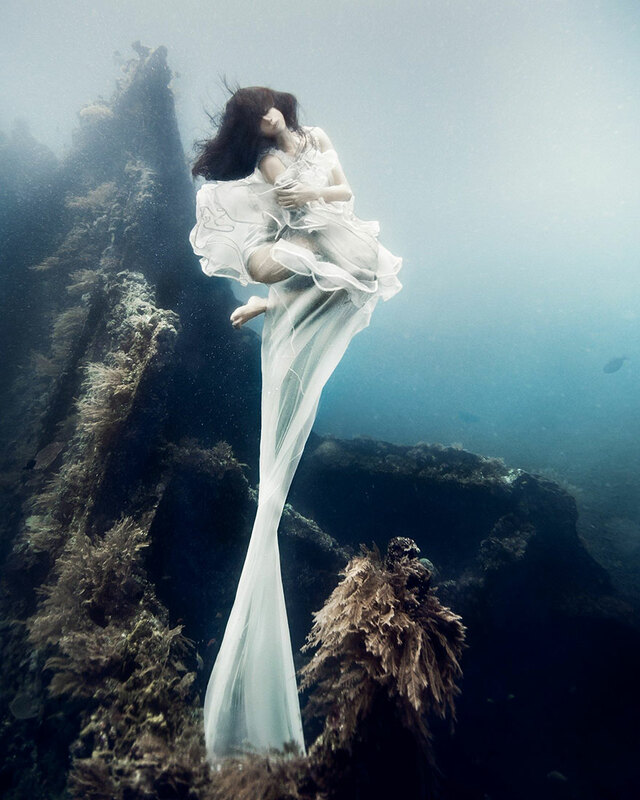 Benjamin Von Wong a Montreal-based photographer, he is well known for his complicated and creative work. 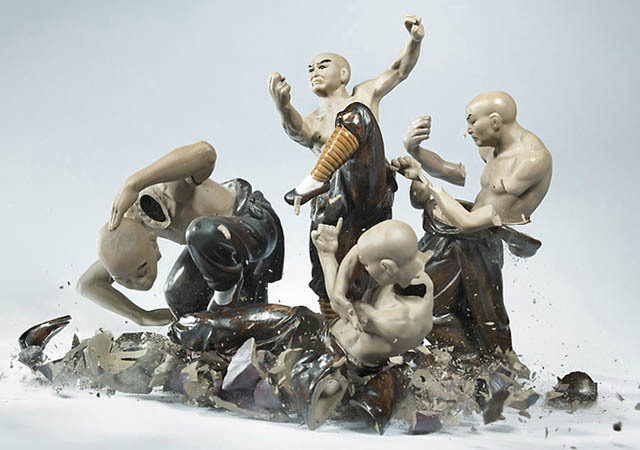 He creates fantastic images, which is bristling with power. 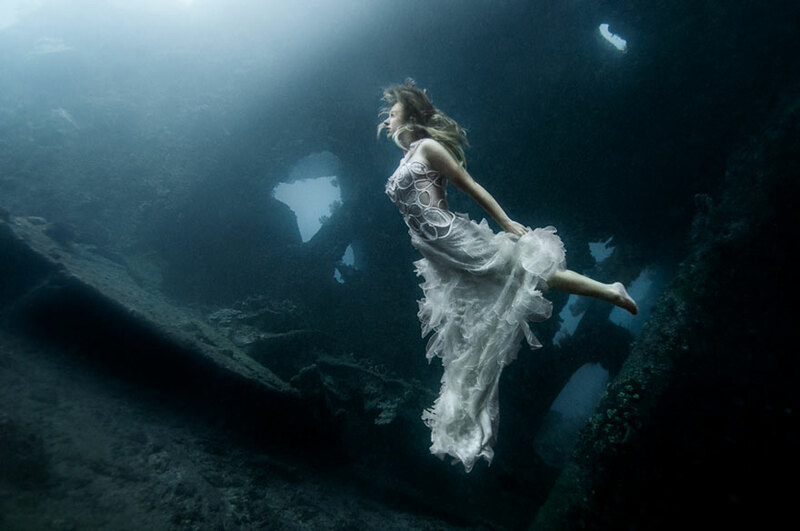 Here in this series you are going to notice the underwater photo shoot by this creative artist. 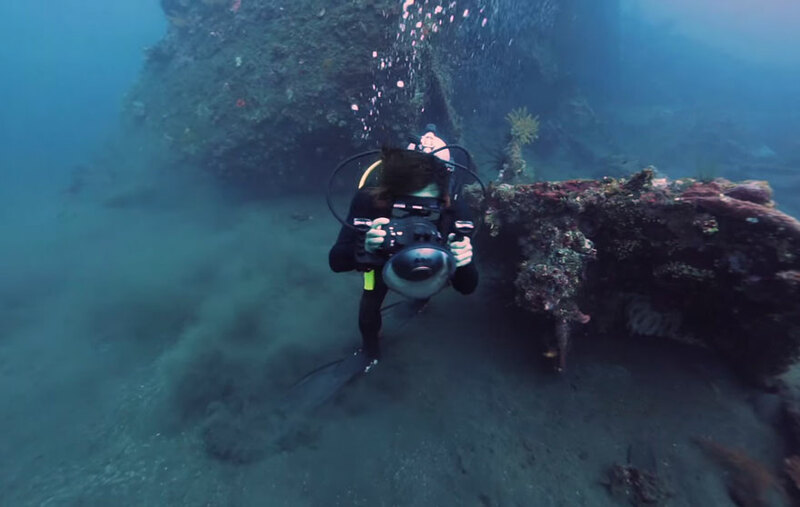 This has given an amazing outcome, he and his hand-picked crew of the experienced divers, free divers and the underwater photographers has created this amazing work under water. 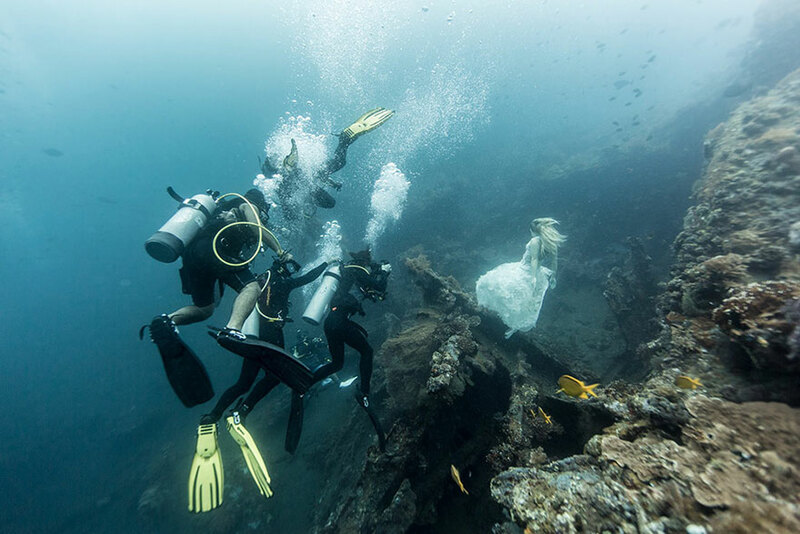 They dived 25 meters under the sea in a sunken shipwreck of the coast of Bali to create this stunning work. 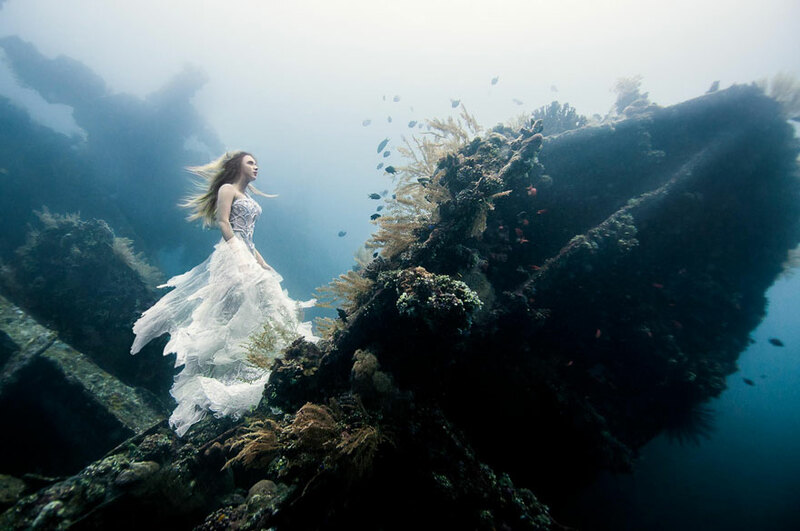 Underwater photography is not an easy task it need a brave heart to do such adventures. Here I do not have a single word to appreciate his and his crew bravery. 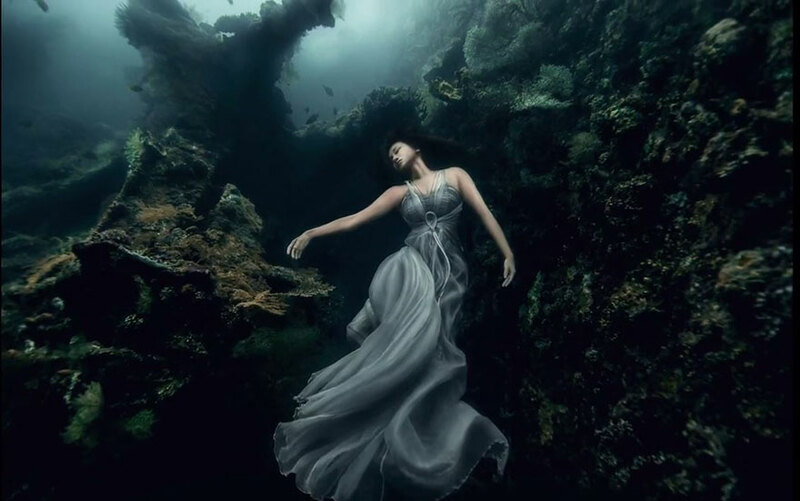 When you look at this series many things like might confuse you like how the model is swimming underwater without any oxygen tank while others are having it. When I saw these photographs, the same question arises within me too. 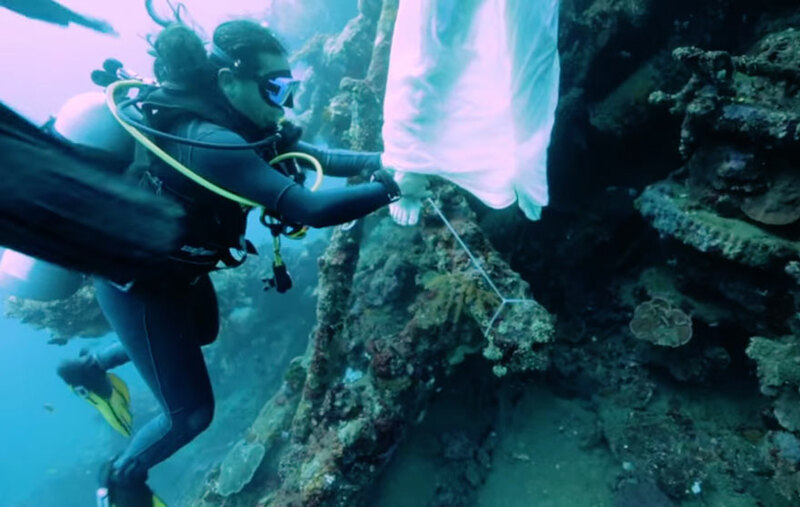 Here the model is also an experienced free diver so that is the reason; she is very comfortable with the work. It is very difficult find a beautiful woman with this type of skills; anyway, the photographer has done his wonderful job by picking her for this task. 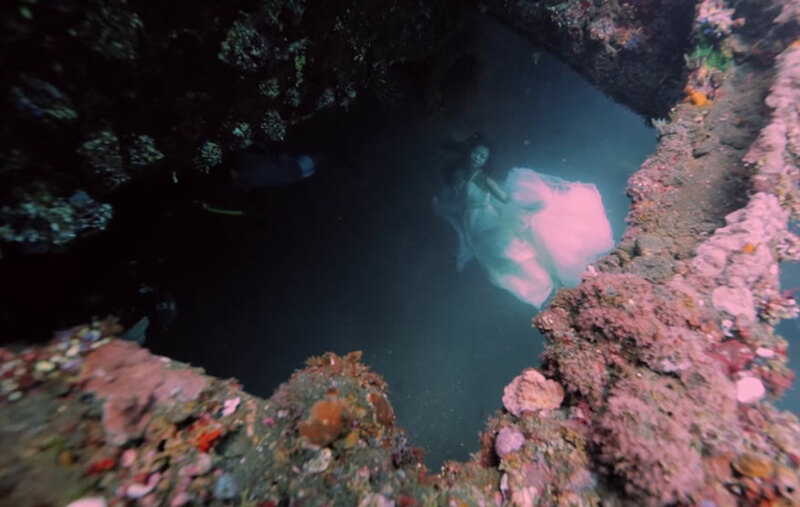 The photographs are amazing and the flowing dress is really mind blowing they just transferred her in to a beautiful mermaid. It is very important for me to speak about the place they selected for taking the photo shoot. They have found a perfect place that suits the entire situation of the photo shoot. They have used the rely on the camera strobes and the natural lighting to capture the wonderful images. Here you are going to enjoy this amazing series hope you will love it and please share your valuable opinion about this series with us, eagerly waiting for your comments and suggestions.